We all love skin care that smells good, but fragrance can do more harm than good. Sure, it keeps you smelling fresh and feeling clean, yet fragrance often causes allergies and skin irritation. If you have sensitive skin, it may not be a bad idea to eliminate fragrance and perfumes from your skin care routine. Here is our case for considering using fragrance free skin care! So What Does Fragrance Free Actually Mean? The phrase “fragrance free” refers to products that contain no trace of scents, perfume, or cologne whatsoever. Many traditional soaps list fragrance or perfume in their ingredients, so if you choose to go fragrance free, we recommend investing in sensitive skin care. You will also have to begin reading labels carefully. Fragrance can sneak into skin care products under the guise of parfum and diethyl phthalate, so check out the ingredients list before committing to a new product. Fragrance is a known allergen and often causes skin irritation and allergic reactions. If you have sensitive skin, fragrance can also aggravate problematic skin conditions, including eczema, psoriasis, and dry skin. Keep in mind that your body’s reaction can be more than just a rash; an overload of scented products can lead to headaches or asthma. Many countries even ban fragrance from their products. Because fragrance can be harmful, we suggest avoiding it when you can. Sebamed’s fragrance free products are completely free of all scents, colognes, and perfumes, so they won’t further irritate sensitive skin. Our fragrance free line also functions as an anti-dry line, healing dry skin from the inside out. Each product is ultra-hydrating and gentle on skin. When used together, our Gentle Hydrating Cleanser, Gentle Hydrating Lotion, and Hydrating Facial Cream act as a complete, nourishing skin care system. 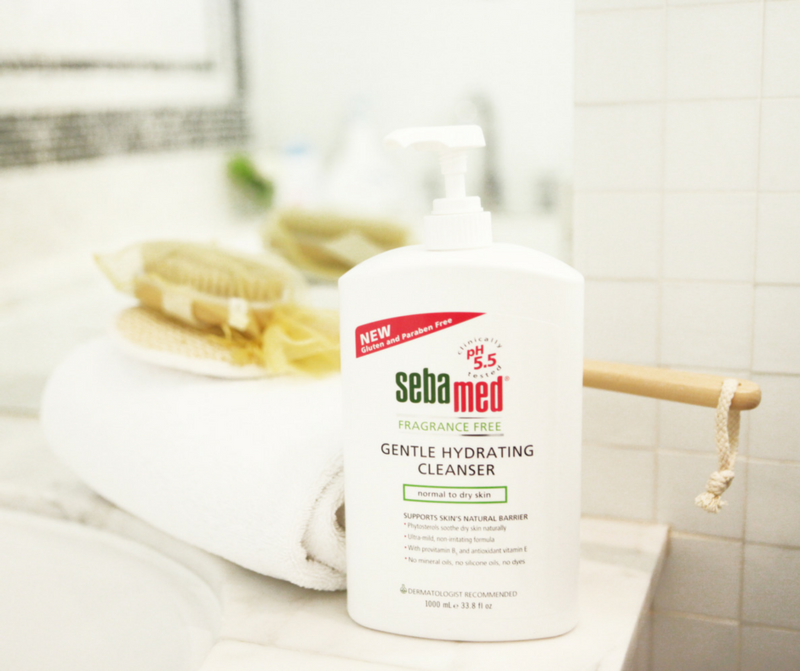 Whether you’re going fragrance free or enjoy fragrance in your skin care products, Sebamed has you covered! Our wide range of cleansers, moisturizers, and creams are suitable for every skin type. Sebamed’s mild formula is also pH-balanced to strengthen your skin barrier and protect against sensitive skin conditions. Check out our complete product lineup here.